Providing you with the forms you need to run your business is the foundation of our business. Our expert staff can meet the needs of any application. Capture your multi-phase work flow process in a single form with our unit sets. Improve efficiency and customer experience by integrating cards or labels with your documents. 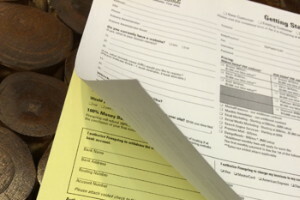 For carbonless and continuous forms, from simple to complex, we are your go-to business forms supplier.